I love photographing weddings at Coombe Lodge. I’ve photographed many weddings there during my time as a wedding photographer. There are so many beautiful venues around Bristol, Bath and Somerset. One of the reasons I love photographing weddings at Coombe Lodge is because the staff go above and beyond to make the bride and groom’s day extra special. The house is very beautiful indeed with stunning rooms. The grounds are superb. It is the perfect venue to choose, because you don’t have to worry if it rains. This is because the internal rooms are so beautiful that your wedding photography can take place inside if necessary. An outdoor ceremony is also a wonderful opportunity if the weather behaves! The birds tweeting, the sun shining, all your friends and family surrounding you. Perfect. And now for the food – the wedding breakfast at Coombe Lodge is always delicious. I have had the pleasure of attending as both a guest and obviously as a wedding photographer. Every single time the food is outstanding. Beautiful presented and perfectly cooked, the Chef really takes pride in the food he prepares and cooks. The service is always wonderful. Coombe Lodge will tailor make the day around you, they are a highly professional and relaxed team. I’ve been photographing weddings at Coombe Lodge for the last 15 years and so I know it like the back of my hand. And here is the beautiful Coombe Lodge – taken before the guests arrived on a beautifully sunny but cold Spring day. 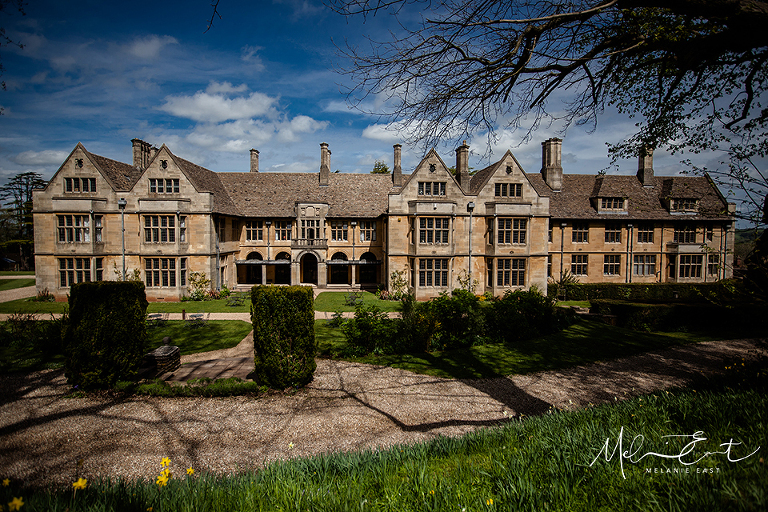 I’m a recommended photographer for Coombe Lodge and have been for years. Take a look at my wedding portfolio and if you decide I’m the girl for you – then please get in touch! « Nine month old baby A came to play!